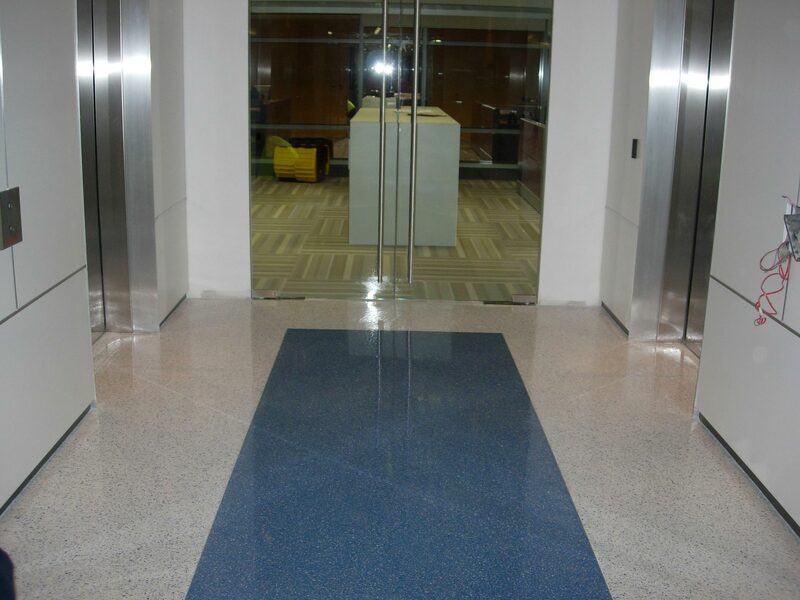 Your building floor looks a little worn out in places, and you need to breathe new life into it. Total removal or replacement seems an attractive proposition, but you realise that doing so would make a serious dent on your budget. So what are your options? 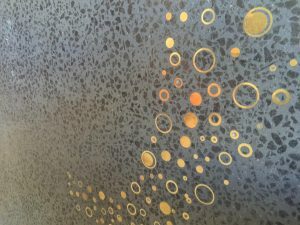 If you want to transform your now-imperfect concrete floor into something seriously fabulous without spending a fortune, then going for decorative concrete overlays may be the ideal choice for you. 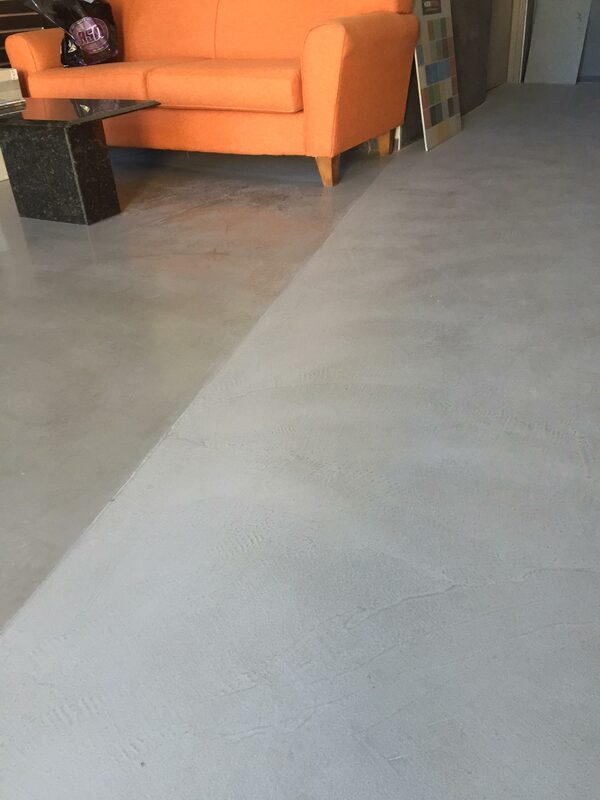 Decorative concrete overlays are your best option if you are looking to rejuvenate worn, damaged, or unsightly concrete floors. Whether you need to restore your floor to its original look, or give it a new one, or simply correct elevation problems, you can rest assured that these concrete toppings are up to the task. 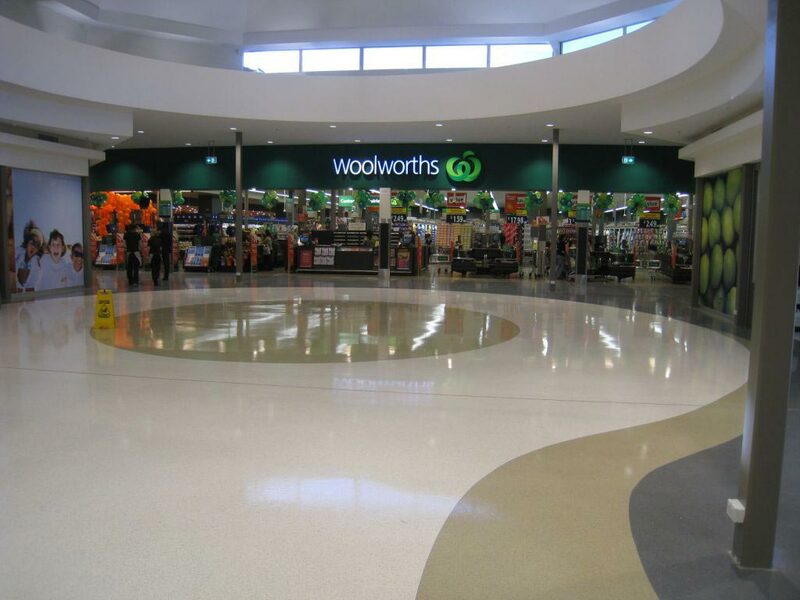 With its thin-set character and in situ application, decorative concrete overlays can provide you with numerous design possibilities that would help transform existing concrete floors into spaces of distinction. 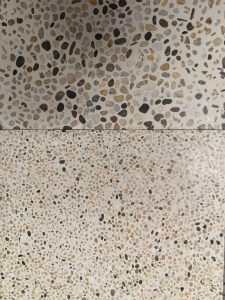 Take a look at some of the concrete toppings we have provided for some of our clients to get an idea what we at Honestone can do with decorative concrete overlays. 1. 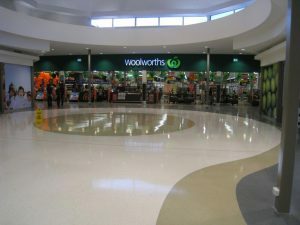 Timber inserts can create classy patterns within the floor area. 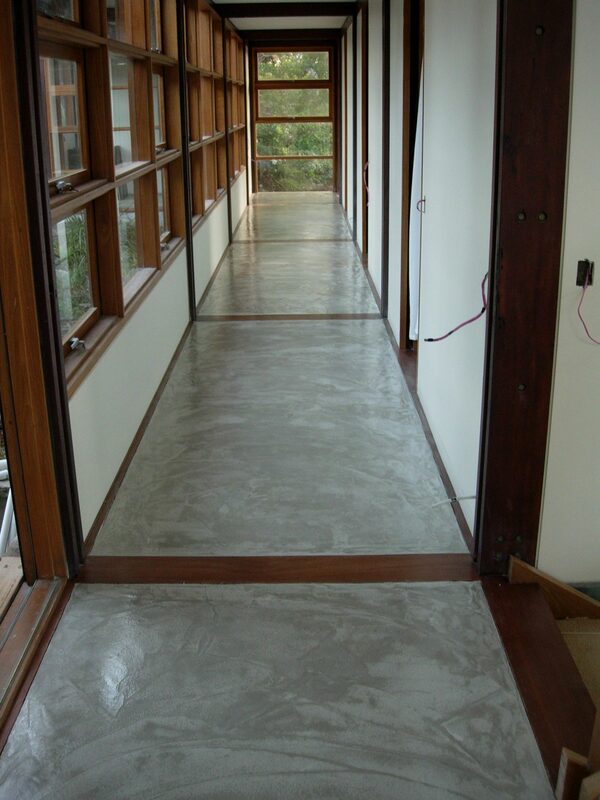 Polished cement floors already look great. Timber inserts, however, considerably up the wow factor with the patterns they create. 2. 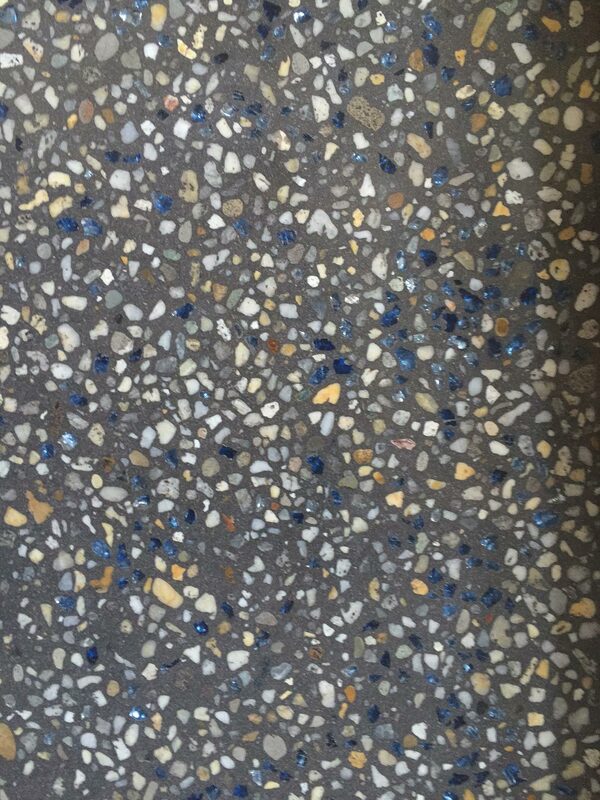 Free form design without grout lines using multiple colours. 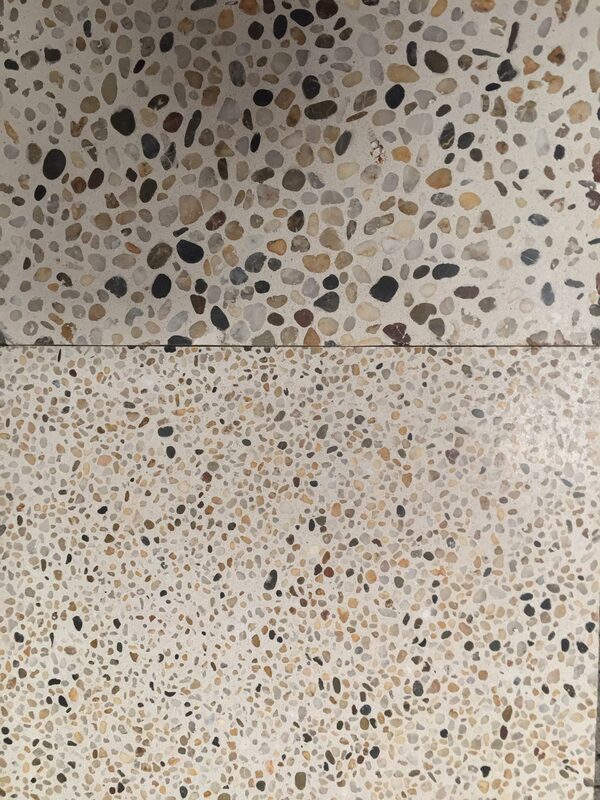 Don’t like grout lines on your floor? 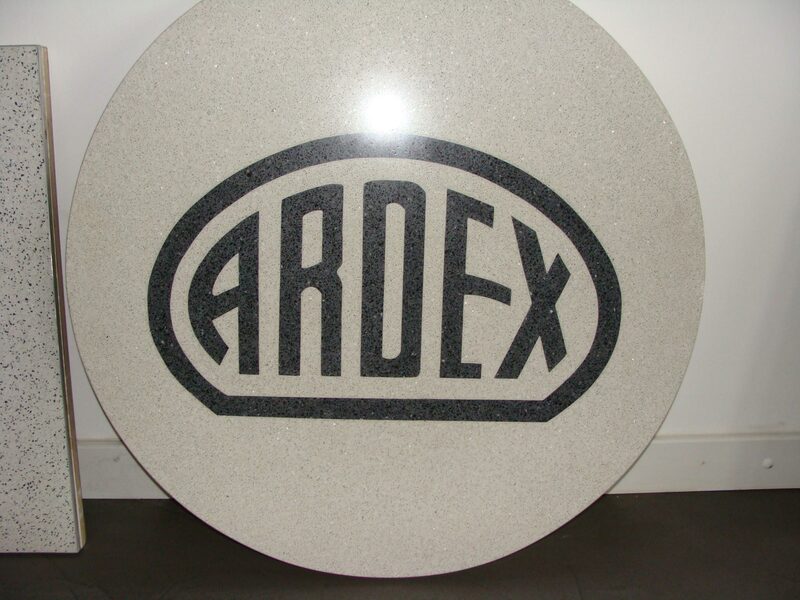 Then let our cement toppings solve that issue for you. 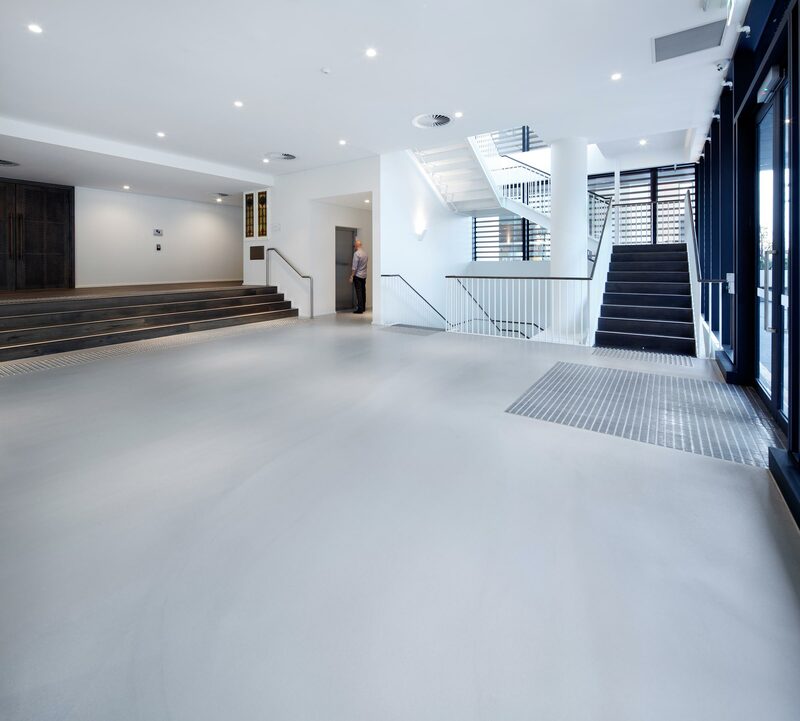 Let your creativity run wild and go with any design you’ll like, and you’ll end up with a polished concrete floor that is absolutely striking. 3. Use subtle colour variations to identify individual areas within a space. 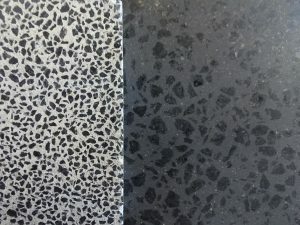 Why use dividers or anything similar to mark areas within a space when you can use decorative cement overlays for that purpose? Very subtle colour variations work just as well, and without putting up dividers or anything that takes up space. 4. Use of corporate logos or colours help reinforce a brand. Let not the people who walk on your polished concrete floors forget who you are and what you stand for. 5. Create feature panels or strips with a reverse mix. 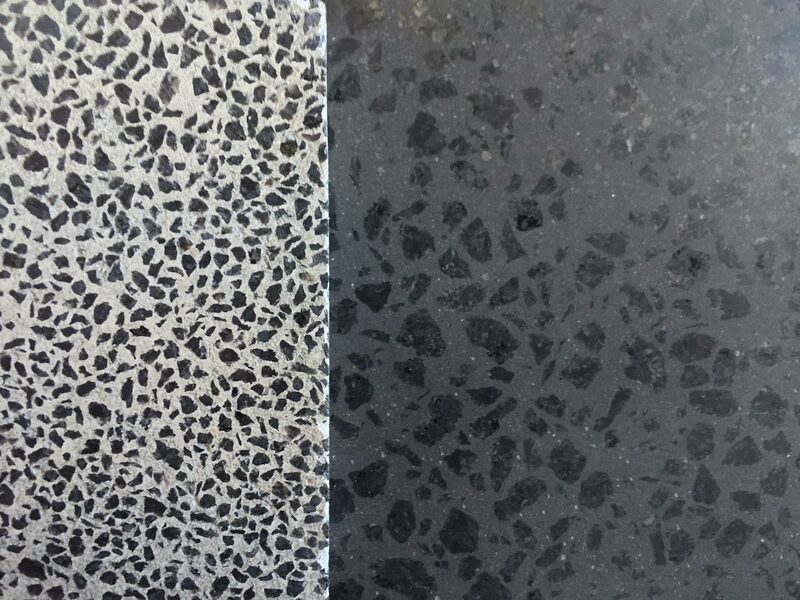 For example, the main floor area can be white cement with black marble aggregate while features can be black cement with white aggregate. 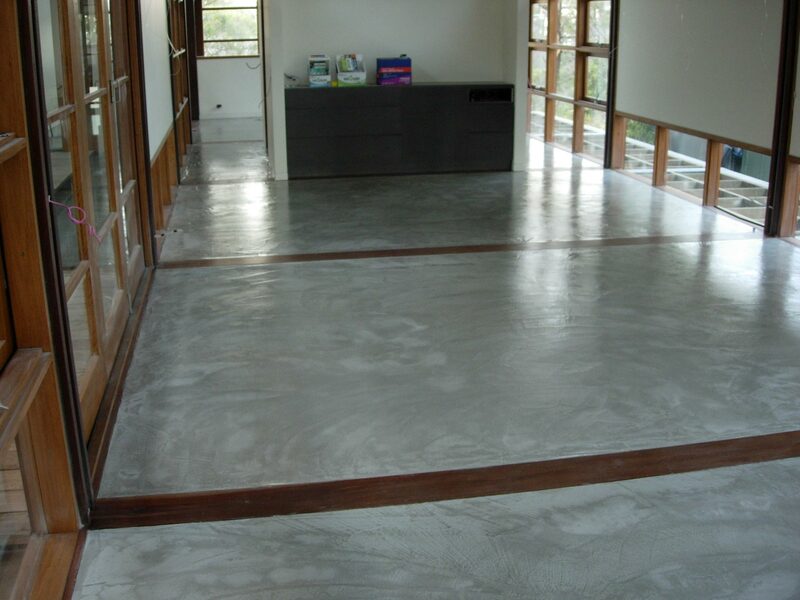 Install mirror chip cement toppings–available in natural and a variety of colours–and make your floor sparkle under lighting. 7. 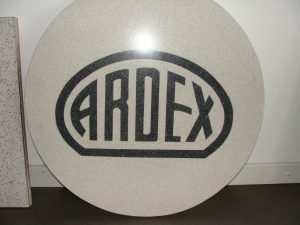 Change the size of the aggregates to make feature areas. 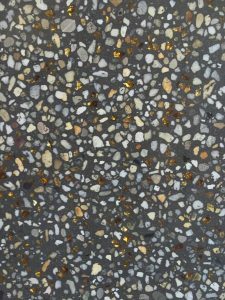 For instance, an entry may have 10mm white aggregate with corridors at a 3mm aggregate. There may even be no aggregate feature panels if you so choose. 8. 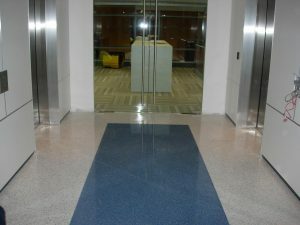 Have a door entry mat recessed into the floor. 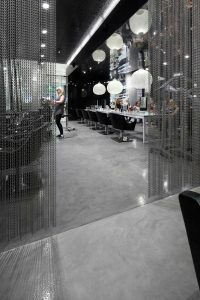 This would be perfect for a wet area transition on those rainy days. No trip hazards, no slips guaranteed. 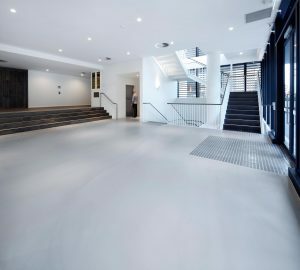 The best thing about recessed entry mats is that they create highly effective protection against wet and dirt ruining your impeccable polished concrete flooring. 9. 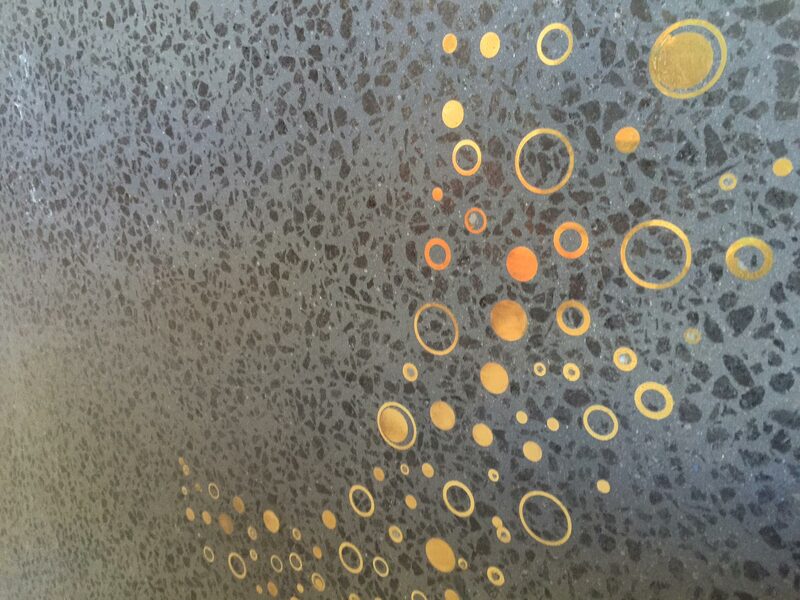 Stone tile inserts, motifs or brass will create a focal point or pattern to a seamless floor. 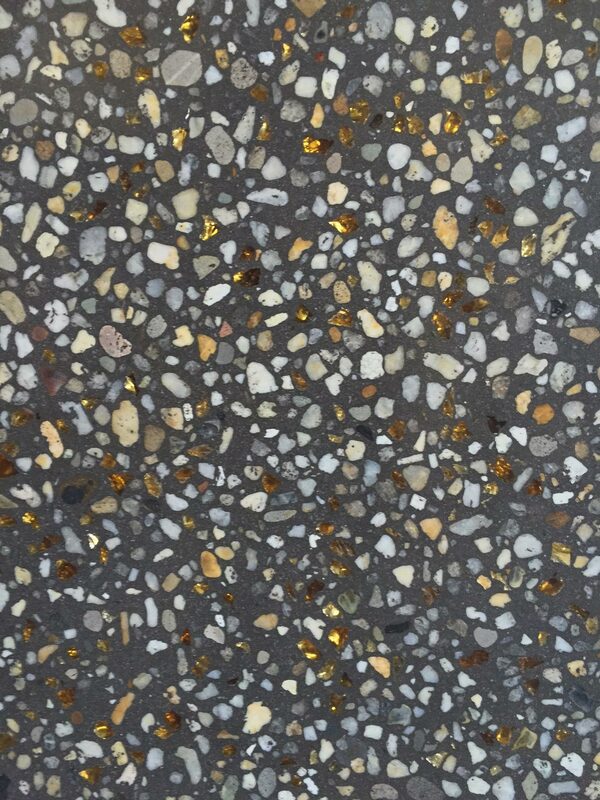 Seamless floors are awesome enough, but stone tile inserts, motifs or brass just make them magical. 10. 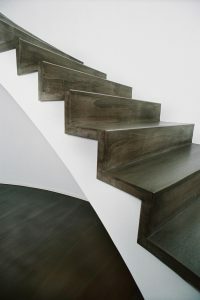 Bring floor levels together by using the same floor finish on stairs. Matching polished concrete floor and stairs. Always a win. 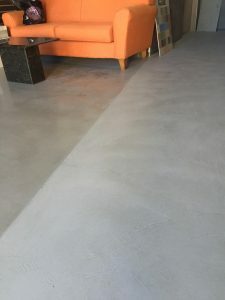 While decorative cement overlays are great at giving existing cement floors a makeover, it is not an end-all and be-all solution for all concrete floors. 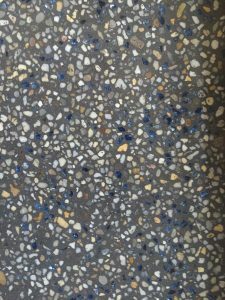 Installing decorative concrete overlays, for one, should not be an option when the underlying base is no longer structurally sound. 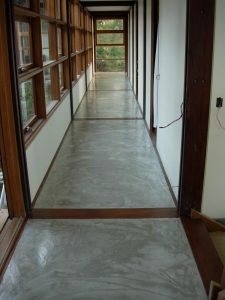 The same is also true if the floor is resting on unstable soil, or if the concrete has huge or very bad cracks. For these conditions, total replacement of the floor is the only real option.